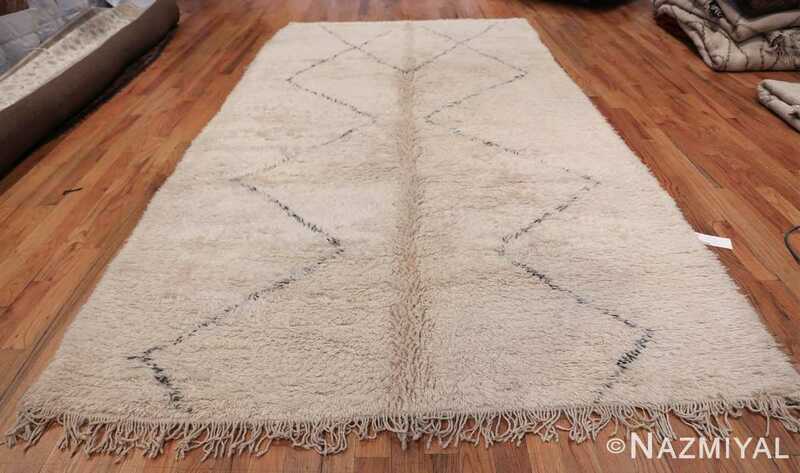 Magnificent Vintage Ivory and Brown Beni Ourain Moroccan Rug, Country of Origin / Rug Type: Morocco, Circa Date: Mid – 20th Century This beautiful, primitive mid 20th century vintage rug from Morocco makes a unique piece for any contemporary or modern decor scheme. The simplistic design uses sharp geometric form and angles to create a piece that appears to resemble some of the iconic modern art that were produced during the mid 20th century by contemporary artists. This Moroccan Beni Ourain rug, with its very simple linear approach to design, is a classic example of these beautiful vintage rugs. The clean ivory background color creates a beautiful snowy white backdrop that allows the brown lines to really stand out. The lush shag pile also contributes to the overall look and feel by adding the soft silk like texture. 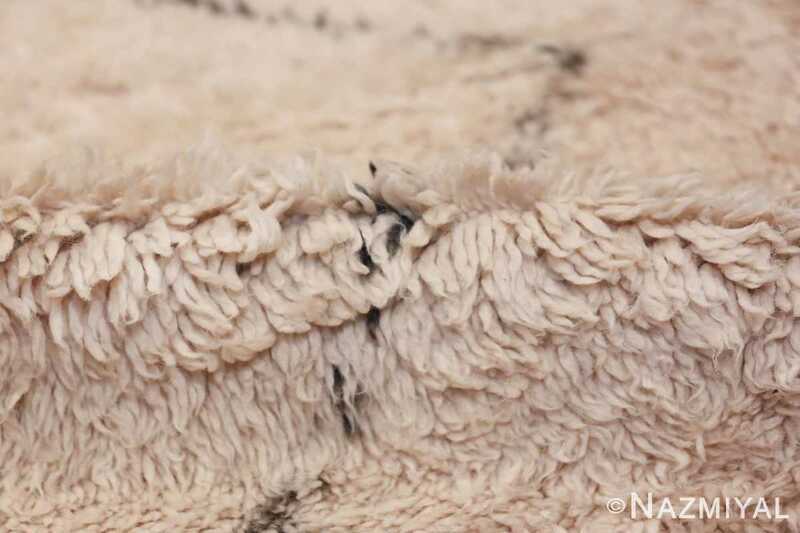 The majority of these magnificently artistic Moroccan rugs were produced in the middle part of the 20th century. 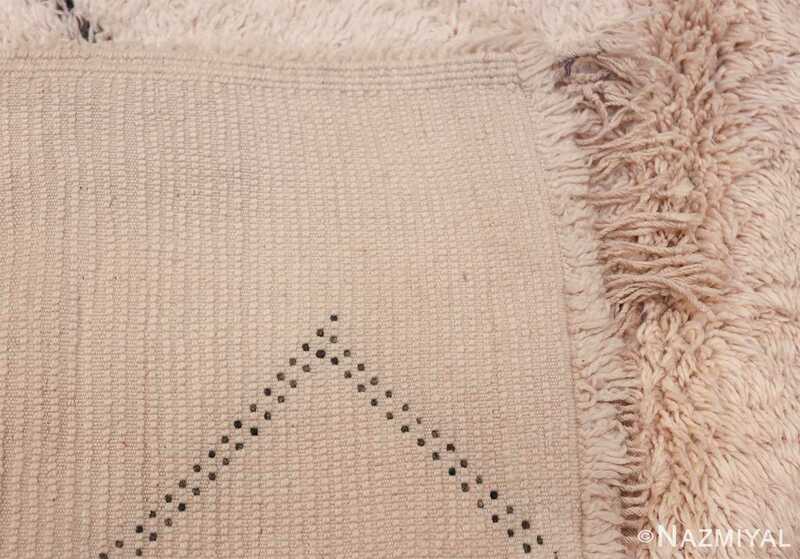 They quickly became popular among European and American interior designers and collectors. This is mostly due to the fact that they represented something tribal and primitive that is both modern yet ancient at the same time. 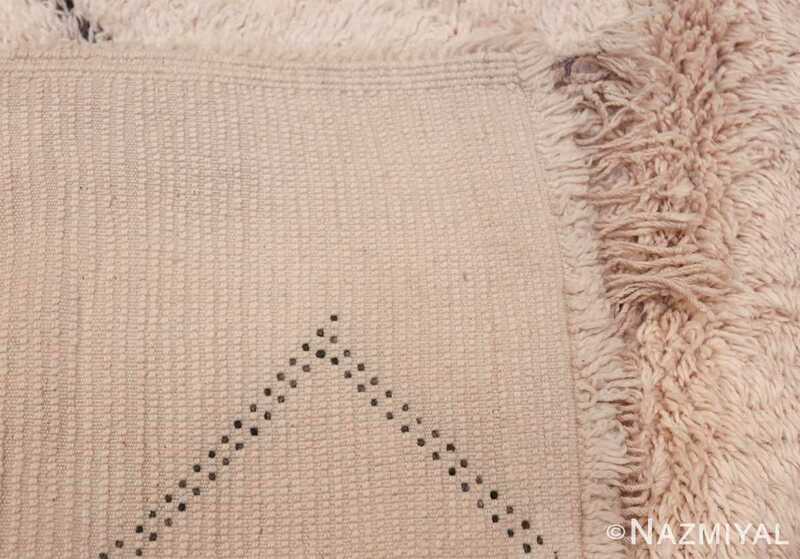 The Moroccan Berber carpet weavers used designs to incorporate aspects of their daily lives into their magnificent vintage rugs. 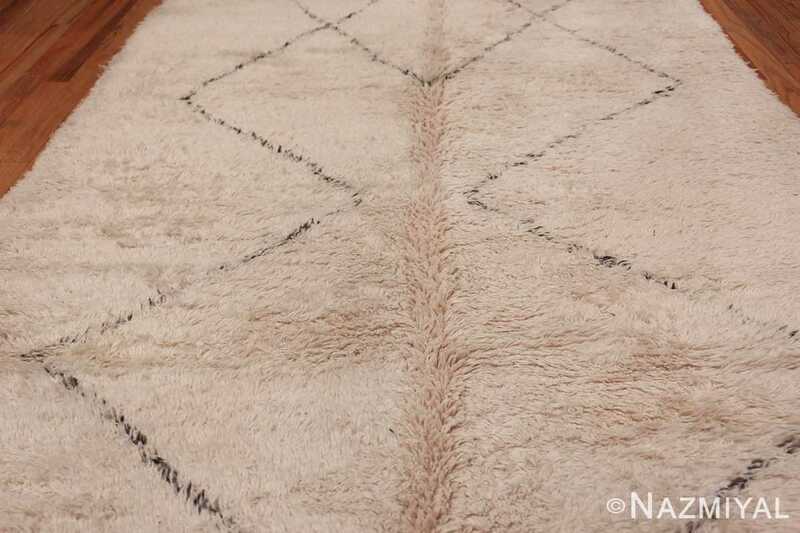 One can almost see how they created the magnificent peeks of the Atlas mountain range in this rug. Or maybe they were drawing out the paths they use when tending their livestock. 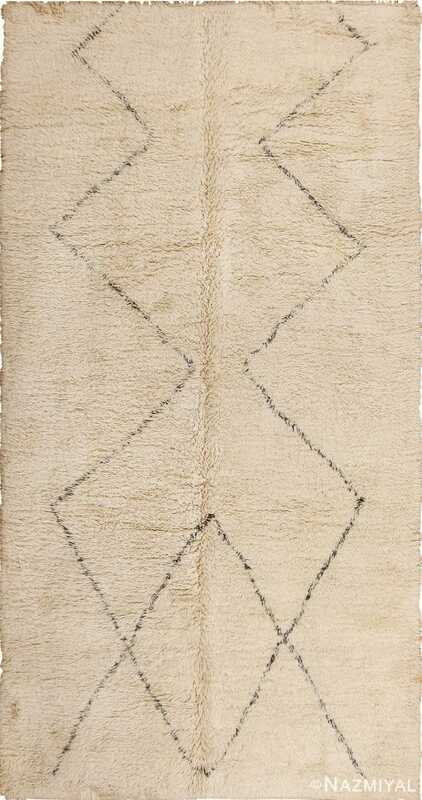 This beautiful Beni Ourain Moroccan rug has rough vertical symmetry, but not horizontal symmetry. It has a hand-drawn quality so the angles and divisions are not perfectly delineated. This is the main charm and appeal of these tribal rugs. 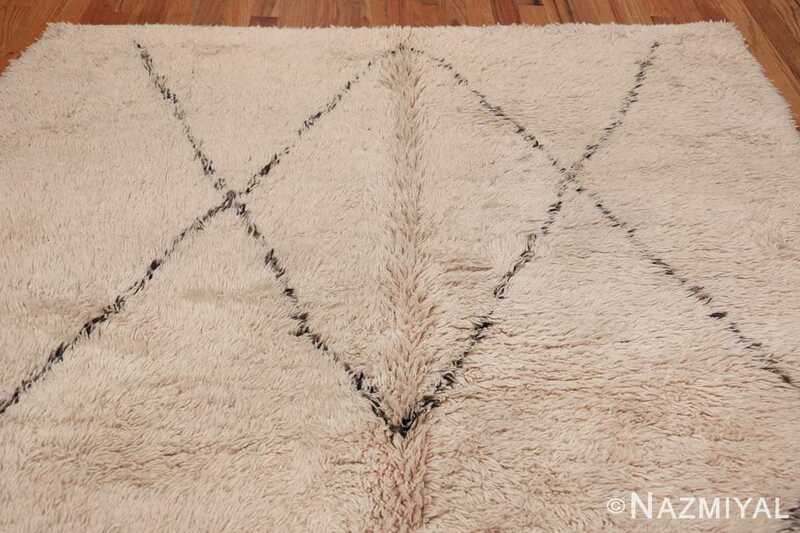 This shag Moroccan rug will make an excellent addition to any design that calls for a rug with an abstract, tribal, organic quality. 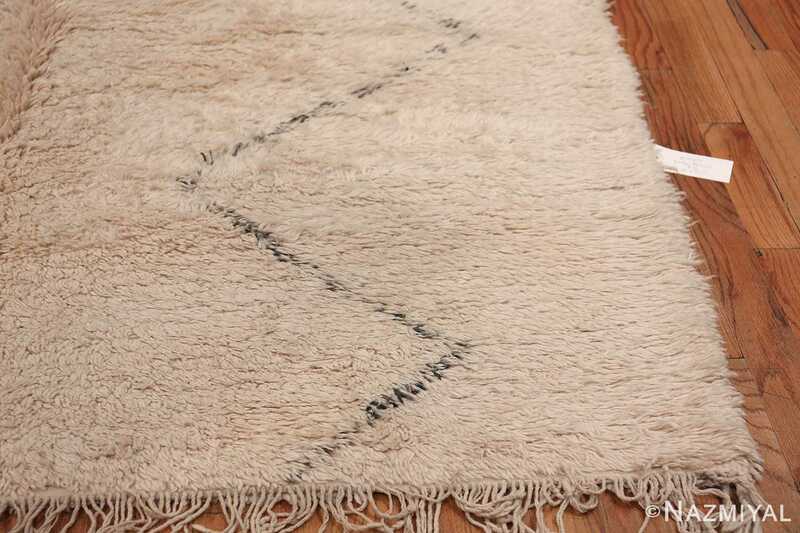 It will make a beautiful addition to any contemporary office home interior decor. 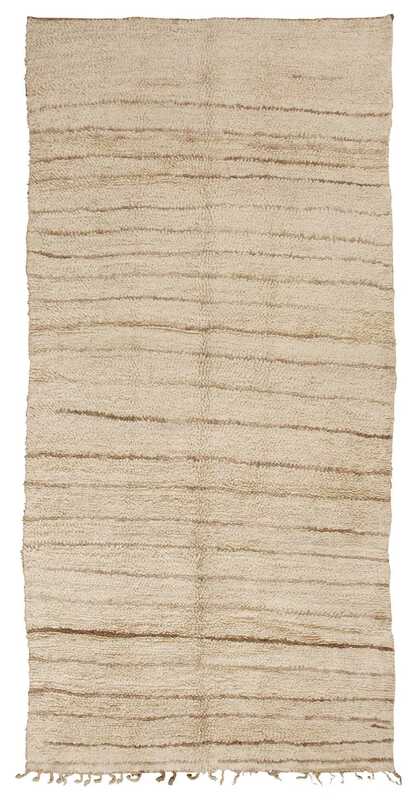 This chic vintage Moroccan rug features a tonal stripe pattern woven in soft colors that add an airy levity to this exquisitely textured and gently colored piece.